Again another event I’ve been meaning to blog about for ages, but just never got around to. 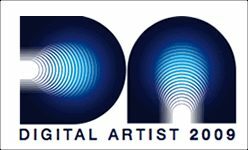 A couple of months ago I got to go to the launch party of the Digital Artist Awards, a brand new competition for anyone with a passion for digital art and design. These awards revolve around all things digital, and aims to inspire, recognise and reward the highest standards of digital art across a range of genres and categories from concept art, illustration, architectural visualisation, and animation to character design and videogame art. From what I can gather these are the first real awards to celebrate digital design as an art form. If interested you can still submit your work until the 31st of August, but check out all the rules first. There are thirteen categories to choose from, and and you can enter a total of 5 submissions across all of them. Here’s a list of the thirteen categories: Graphic Design, Animation, Motion Broadcast, Web & Interactive Design, 2D Illustration, 3D Illustration, Character Design, Concept Art, Product Visualisation, Games Design, Architectural Visualisation, Visual Effects (short form), Stars of Tomorrow (sponsored by Intel).